Overcoming personal tragedy, Effiegene L. Wingo succeeded her late husband in Congress to help her Arkansas constituents cope with an appalling national emergency. In the early days of the Great Depression, Wingo relied on her experience and connections as an active congressional wife to bring relief to her drought–stricken and impoverished Arkansas district. Effiegene Locke, the eldest of seven children raised by Irish parents and the great–great–great–granddaughter of Representative Matthew Locke of North Carolina, was born on April 13, 1883, in Lockesburg, Arkansas. She attended both public and private schools and received a music diploma from the Union Female College in Oxford, Mississippi. Effiegene Locke then graduated with a B.A. degree from the Maddox Seminary in Little Rock, Arkansas, in 1901. Shortly after graduation she met lawyer Otis Theodore Wingo, in De Queen, Arkansas, at a Confederate veterans' reunion. The couple soon married and raised two children, Blanche and Otis, Jr. In 1907 Otis Wingo was elected to a term in the Arkansas state senate, where he served until 1909 before returning to private business. He won election to the U.S. House of Representatives in 1912 and to the eight succeeding Congresses. 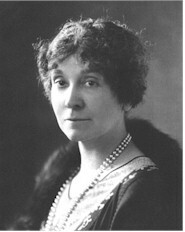 During Otis Wingo's political career, his wife became immersed in the social side of political life in Washington, D.C. In 1926, a car accident severely injured Representative Wingo, thrusting Effiegene into a far more active role. For four years she worked as an unpaid assistant in her husband's office, becoming his point of contact during long absences as he sought to recuperate from his injuries. That direct experience—tending to constituent requests—gave her valuable exposure to voters and a keen understanding of the district's political and business networks. Following an emergency operation, Otis Wingo (who was serving his ninth term in Congress) died in Baltimore, Maryland, on October 21, 1930. His dying wish was that his wife be chosen as his successor.1 That appeal prompted Otis Wingo's friend and the chief Democratic contender for the vacant seat, A.B. Du Laney, to peremptorily withdraw from the race and back Effiegene Wingo. Newspapers described that act as "gallant" and "chivalrous. "2 Less than a week after Otis Wingo's death, the Arkansas Democratic and Republican central committees, both of which earlier that year had nominated Otis Wingo for the seat, chose Effiegene Wingo to replace her late husband. Several speakers at the GOP meeting spoke up to offer eulogies for her husband. According to the standard study on Southern politics in the early 20th century, comity between the major parties was a regular occurrence in Arkansas politics. The state's political network was controlled largely by conservative Democrats, who differed little from their Republican counterparts on major issues of public policy. Political scientist V.O. Key explained Arkansas elections by paraphrasing a prominent local politician who described them as "‘rivalries' that turn around ‘personalities and emotions' of the moment" featuring candidates with "connections" within the political network.4 Effiegene Wingo, a congressional widow with whom voters empathized, and who enjoyed wide name recognition, fit the pattern well. Facing no competition, she was elected simultaneously on November 4, 1930, to complete her husband's term in the 71st Congress (1929–1931) and to a full term 72nd Congress (1931–1933). She garnered 21,700 votes, more than four of the state's six other Representatives. Reflecting on Wingo's election, the Richmond Times–Dispatch observed that "heart impulses in Arkansas overwhelmed the impulses of the mind." Without crediting Wingo's four years' work in her husband's office, the Times–Dispatch surmised that sentimentality had overcome Arkansas voters. The editors wrote disapprovingly, "In this country public office is not a thing to be bequeathed to one's next of kin or one's best friend. Supposedly, it is won on merit, and it should descend through a like channel. "5 Debate was fueled by the fact that Wingo seemed to be part of a larger pattern: She served alongside yet another Arkansas widow, Pearl Oldfield, who was filling out the remainder of her late husband's term in the 71st Congress. Wingo, like her colleagues, was consumed by the effects of the Great Depression. Natural disasters exacerbated the economic plight of her 11–county district on the western edge of the state, bordering Oklahoma. A severe cold snap in the winter of 1929–1930, followed by a scorching drought in the summer of 1930 created "Dustbowl" conditions. Peach orchards, the leading agricultural commodity, and the poultry industry were decimated. Many farmers lost their livelihoods and had to beg for food to feed their own families. "The failure of many banks because of these conditions has made the situation more difficult," Wingo remarked. "It will take years for the State to rehabilitate herself. The economic situation is so thoroughly demoralized that farmers will lose their cattle, their lands, their homes. People who have known wealth all their lives have nothing. This is a gloomy picture, but a true one. "7 Wingo suspended her social activities in Washington, D.C., to focus on raising relief funds for her district. Appealing to Washington society and working through the American Red Cross, she opened a channel of supplies into her district. Among those who pitched in to help was the humorist Will Rogers, who delivered talks in the district and donated all proceeds and some of his personal money for relief efforts.8 In Washington, Wingo relied on her daughter, the newly married Blanche Sawyer, and the same staff that her husband had employed, to attend to her busy appointment schedule. In February 1932, citing her physician's directions, Wingo announced that she would not be a candidate for re–election. She remarked to her constituents that it had been a "sweet privilege to serve my people. "11 Wingo spent much of December 1932 at her son's hospital bedside in Connecticut, where he was recuperating from a car wreck. After Congress, Wingo cofounded the National Institute for Public Affairs. The organization provided college students internship opportunities to enter public service through on–the–job training programs in federal departments. She resided in De Queen, Arkansas, and spent a good deal of time in Washington, D.C., tending to her educational work. On September 19, 1962, while visiting her son, Effiegene Wingo died in Burlington, Ontario. 1"Society Awaits Election Returns of Its Women Representatives," 2 November 1930, Washington Post: S3. 2"Political Life Is Embraced By Mrs. Wingo," 29 October 1930, Washington Post: 9. 3"Both Parties in Arkansas Back Wingo's Widow for Congress," 28 October 1930, New York Times: 1. 4V.O. Key, Jr., Southern Politics in State and Nation, 2nd ed. (Knoxville: University of Tennessee Press, 1984): 183; 185–187. 5"Pro and Con," 5 November 1930, Washington Post: 6. 6Charles Stewart III, "Committee Hierarchies in the Modernizing House, 1875–1947," American Journal of Political Science 36 (1992): 845–846. The paper includes rankings of House committees before the Legislative Reorganization Act of 1946 and makes a connection between committee transfers and the relative attractiveness of committee assignments. 7Congressional Record, House, 71st Cong., 3rd sess. (7 February 1931): 4246. 8Congressional Record, House, 71st Cong., 3rd sess. (12 February 1931): 4712. 9Congressional Record, House, 72nd Cong., 2nd sess. (28 January 1933): 2790. 10Congressional Record, House, 72nd Cong., 2nd sess. (16 January 1933) : 1907. 11"Pro and Con," 18 June 1932, Washington Post: 6. "Effiegene Locke Wingo" in Women in Congress, 1917-2006. Prepared under the direction of the Committee on House Administration by the Office of History & Preservation, U.S. House of Representatives. Washington: Government Printing Office, 2006.